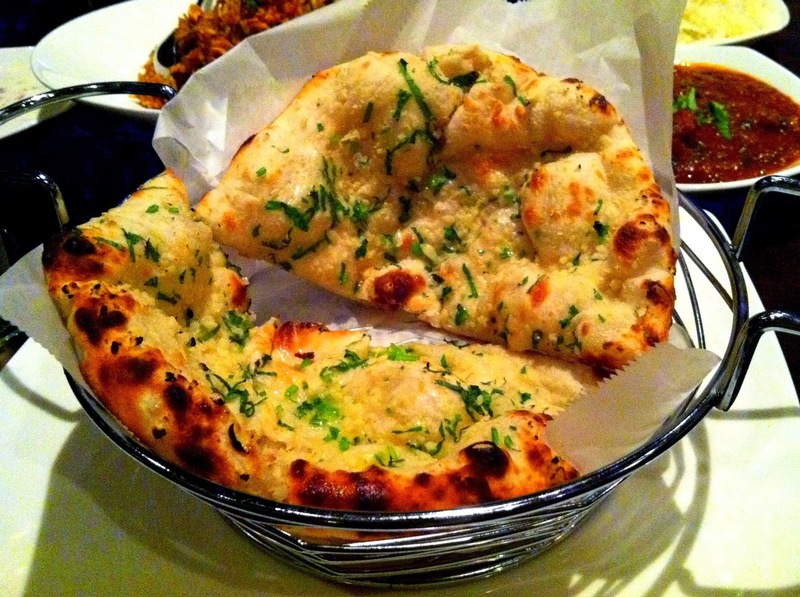 First up is the warm, soft garlic naan at IndeBlue, the new-ish Indian restaurant along 13th Street. I really enjoyed our entire meal there - great colors and flavors across the table. You don't find goat on many menus, but here the goat biryani is a regular item and was quite a treat on a cold night. Before you go, know that IndeBlue puts a trendy, modern twist on Indian cooking, so traditionalists should temper expectations. Adding to 13th Street's already-hyper cool appeal, IndeBlue is one more fun place to go on a date or with friends. Dinner party anyone? To get even warmer, check out this hot pot from Sakura Mandarin in Chinatown. Our video below does the best job at showing just how H-O-T this was to the touch and to the soul... we're talking red cheeks, eyes-watering, snot-dripping hot. And delicious, too. You have several options of meats, fish, tofu and veggies to toss in there so make it your own. Sakura's steamed crab and pork soup dumplings are also supposed to be the closest thing to Dim Sum Garden's beloved favorite, but we agreed that they still aren't nearly as life changing. As for other dim sum, the scallion pancakes were awesome, shanghai siu mai a little boring. Regardless, this hot pot left its mark. Last but not least... the Calle Ocho from Rosa Blanca. 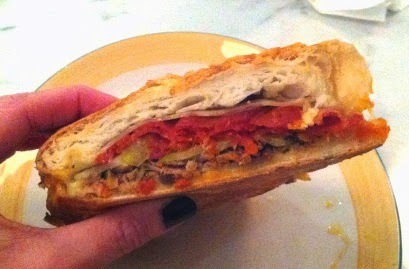 It's a twist on the traditional Cubano, with roast pork, chorizo, caramelized onions, pickles and Swiss cheese. We grabbed it at the bar one evening with some empanadas and ceviche. Overall a quality, quick little meal if you're hopping around the city, especially the sandwich. Not quite iron chef material, but we'd like to go back and try the entrees. Rosa Blanca is Jose Garces' latest Philadelphia restaurant, replacing Chifa with a Cuban and Caribbean-inspired diner. If you'd been to Chifa, expect the dining room to be the exact same with dark wood and big booths. The front of the restaurant, however, is bright white, blue and coral with an island-meets-diner vibe. You can also stop in and get an empanada or Cuban pastry to go.